Livelock occurs when two or more processes continually repeat the same interaction in response to changes in the other processes without doing any useful work. These processes are not in the waiting state, and they are running concurrently. This is different from a deadlock because in a deadlock all processes are in the waiting state. 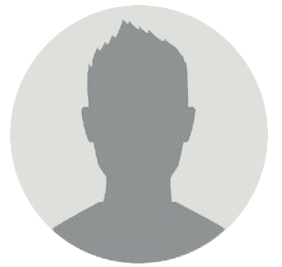 Each of the two processes needs the two resources and they use the polling primitive enter_reg to try to acquire the locks necessary for them. In case the attempt fails, the process just tries again. 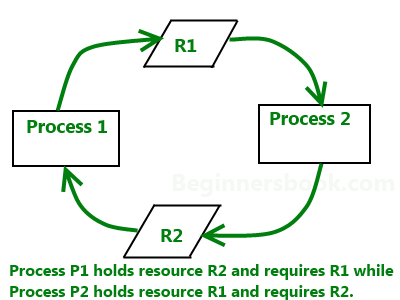 If process A runs first and acquires resource 1 and then process B runs and acquires resource 2, no matter which one runs next, it will make no further progress, but neither of the two processes blocks. What actually happens is that it uses up its CPU quantum over and over again without any progress being made but also without any sort of blocking. Thus this situation is not that of a deadlock( as no process is being blocked) but we have something functionally equivalent to deadlock: LIVELOCK. Occurrence of livelocks can occur in the most surprising of ways. The total number of allowed processes in some systems, is determined by the number of entries in the process table. Thus process table slots can be referred to as Finite Resources. If a fork fails because of the table being full, waiting a random time and trying again would be a reasonable approach for the program doing the fork. Consider a UNIX system having 100 process slots. Ten programs are running, each of which having to create 12 (sub)processes. After each process has created 9 processes, the 10 original processes and the 90 new processes have exhausted the table. Each of the 10 original processes now sits in an endless loop forking and failing – which is aptly the situation of a deadlock. The probability of this happening is very little but it could happen. A livelock is similar to a deadlock, except that the states of the processes involved in the livelock constantly change with regard to one another, none progressing. Livelock is a special case of resource starvation; the general definition only states that a specific process is not progressing. A deadlock is a state in which each member of a group of actions, is waiting for some other member to release a lock. A livelock on the other hand is almost similar to a deadlock, except that the states of the processes involved in a livelock constantly keep on changing with regard to one another, none progressing. Thus Livelock is a special case of resource starvation, as stated from the general definition, the process is not progressing. Starvation is a problem which is closely related to both, Livelock and Deadlock. In a dynamic system, requests for resources keep on happening. Thereby, some policy is needed to make a decision about who gets the resource when. This process, being reasonable, may lead to a some processes never getting serviced even though they are not deadlocked. Starvation happens when “greedy” threads make shared resources unavailable for long periods. For instance, suppose an object provides a synchronized method that often takes a long time to return. If one thread invokes this method frequently, other threads that also need frequent synchronized access to the same object will often be blocked.